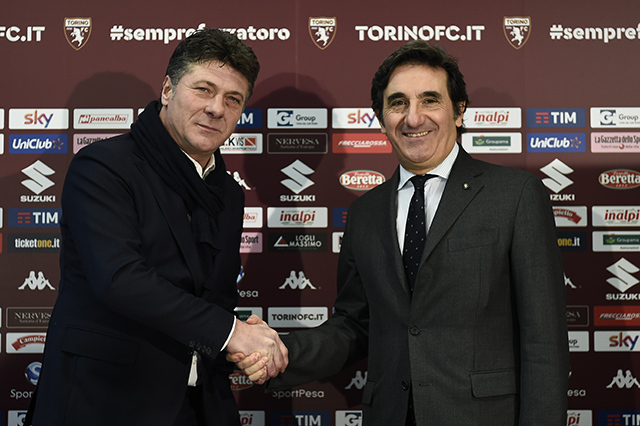 Torino host Benevento on Sunday afternoon as Walter Mazzarri looks to maintain his unbeaten record as Toro coach. The Granata won the reverse fixture back in September thanks to Iago Falque's late winner, although Benevento have improved since then, and finally earned their first Serie A victory in December against Chievo. However, the Stregoni have lost all ten of their Serie A away games. Former Toro striker Vittorio Parigini could face his old team, whilst Andrea Belotti has returned from injury and could make an appearance off the bench. Torino were lucky escape from Reggio Emilia with a point after a disappointing second half performance against Sassuolo on Sunday afternoon. Walter Mazzarri named an unchanged team from the eleven who started against Bologna in his first game in charge. The home side should have taken the lead early on, but Diego Falcinelli somehow managed to head wide from close range. Sassuolo were made to pay for that miss, as mid-way through the first half Toro took the lead. After the Sassuolo defence failed to clear a Alex Berenguer free kick, the ball ricocheted to Joel Obi who swept home from close range. Salvatore Sirigu made good saves from Domenico Berardi and Antonino Ragusa before the break but Toro went in at half time in front. Sassuolo equalised ten minutes after half time as Berardi controlled a long pass before curling an excellent shot into the far corner. The neroverdi should have then taken the lead, but substitute Alessandro Matri somehow missed the target from only two yards out. Toro were holding on, and despite Walter Mazzarri bringing on Emiliano Moretti and switching to a 3-5-2 formation, Sassuolo were still creating chances, as defender Federico Peluso hit the post. Iago Falque had the best chance to win the game for Toro, but his shot from just inside the area went wide, and Toro had to settle for a point. 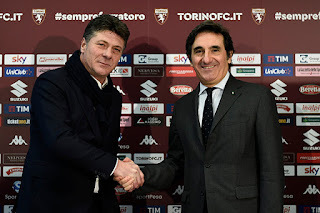 Walter Mazzarri will look to continue his 100% record as Torino coach when they travel to Sassuolo on Sunday afternoon. Mazzarri enjoyed an impressive start to his Toro career a fortnight ago thanks to a 3-0 win against Bologna, and the winter break will have given the experienced coach more time to work with his new players. Joel Obi is fit for selection, despite being injured in the game against Bologna, therefore Mazzarri may choose to stick with the same starting eleven from that game. Sassuolo have been in good form in recent weeks, winning three of their last five matches, although they did lose 1-0 to Genoa in their last game. Walter Mazzarri made a perfect start as Torino coach, as the Granata won 3-0 against Bologna on Saturday afternoon. Mazzarri made only two changes from the team who lost to Juventus in the Coppa Italia, as Salvatore Sirigu and Joel Obi came into the team. Toro had a great chance to take the lead early on, but in-form winger Iago Falque blazed well over the bar when through on goal. The Granata were then denied by an excellent save by Bologna keeper Antonio Mirante who tipped a M'Baye Niang effort over the bar. Seven minutes before half time, Toro took a deserved lead as Alex Berenguer's excellent free kick was headed home by Lorenzo De Silvestri. However, five minutes after half time Bologna were awarded a controversial penalty. Despite Simone Verdi originally being booked for diving, after a VAR review, the decision was reversed and a penalty awarded as Cristian Molinaro was adjudged to have fouled the former Toro man. Erick Pulgar stepped up to take the penalty, but the Chilean was denied by an excellent save by Salvatore Sirigu. Less than five minutes later, Toro doubled their lead as M'Baye Niang scored a deserved goal by skillfully dummying the defender before curling a left footed shot beyond Mirante. Toro added a third in the closing stages to seal a convincing victory as Iago Falque scored with a low drive from just outside the area. Walter Mazzarri will take charge of Torino for the first time when Toro face Bologna at the Stadio Grande Torino on Saturday afternoon. Whilst Mazzarri usually favours a 3-5-2 formation, it is expected that he will not change too much having only taken charge on Thursday. Andrea Belotti is still injured, but Adem Ljajic has returned to the squad but may not be fit to start. Bologna are currently 1 point behind Toro in 12th place, but are in poor form having lost three of their last four matches. Within hours of Torino's Coppa Italia defeat to Juventus, rumours emerged that Torino chairman Urbano Cairo had sacked coach Sinisa Mihajlovic. This was confirmed on Thursday morning, as Mihajlovic paid the price for a disappointing first half of the season. Whilst from the outside, the sacking may appear to be harsh, especially considering the fact that Toro have only lost four league games all season - to Juventus, Napoli, Roma and Fiorentina. However, the Granata have only won five games, as they have suffered far too many draws - including disappointing stalemates with Hellas Verona and SPAL despite taking a 2-0 lead in each game. Toro are currently in 10th place, 5pts off 6th - the final guaranteed position for Europa League qualification. Mihajlovic was appointed Torino manager in May 2016, and in his first season in charge achieved some notable results early on, including an impressive win against Roma. However, the Granata stalled in the second half of the campaign and finished the season in 9th place. One of the main criticisms of Mihajlovic's reign as Torino's coach was their defensive record, as Toro conceded an incredible sixty-six goals in thirty-eight league games last season. The defence has improved this season, but Torino still have a negative goal difference of -2. Another criticism of Mihajlovic related to his tactical nous, as Toro were often involved in matches where the midfield was clearly being outnumbered. However, the Serbian coach rarely made changes to try and rectify this. On Thursday, Mihajlovic's replacement was confirmed, as Walter Mazzarri signed a contract until 2020. Mazzarri achieved success at both Reggina and Sampdoria before getting his 'big break' at Napoli in the 2009-10 season. Under Mazzarri, Napoli qualified for the Champions League, won the Coppa Italia and achieved their highest league finish (2nd) in over 20 years. The Tuscan tactician was unable to replicate that success in his next two jobs, at Inter, and also last season at Watford in the Premier League. However, Urbano Cairo hopes that he can be the man to help a talented squad live up to their potential, and perhaps even qualify for the Europa League which was their target at the start of the season. Torino were knocked out of the Coppa Italia on Wednesday night, following a 2-0 defeat to Juventus, a result that ultimately cost Sinisa Mihajlovic his job. 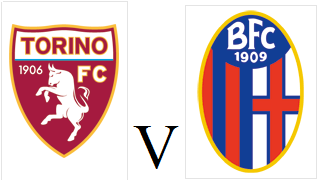 Nicolas Burdisso and Afriyie Acquah were preferred to Emiliano Moretti and Joel Obi, whilst Vanja Milinkovic-Savic returned in goal after his heroics against Roma in the previous round. Toro had the first chance of the game when Stefano Sturaro misjudged a cross-field field pass, and let Alex Berenguer through on goal, but the Spaniard dragged his shot well wide of the target. Juventus took the lead after fifteen minutes when Daniele Baselli's hurried clearance ricocheted off Paulo Dybala, and perfectly into the path of Douglas Costa who hit an exquisite left footed volley into the top corner. Toro had a chance to equalise, as M'Baye Niang latched onto a long ball, and was unlucky to see his shot from a difficult angle hit the post. In the second half, Mario Mandzukic and then Blaise Matuidi both missed good chances to double the home sides lead. However, mid-way through the second half, Juventus did get their second goal in controversial circumstances. Afriyie Acquah appeared to be fouled by Sami Khedira, but play continued, and Paulo Dybala's cross hit Daniele Baselli's back and rebounded into the path of Mario Mandzukic who scored. However, despite referee Daniele Doveri going to VAR, he somehow adjudged that Khedira had not fouled Acquah and the goal was allowed to stand. Young striker Manuel De Luca came off the bench with ten minutes remaining to make his debut, but could do nothing to prevent yet another derby defeat. 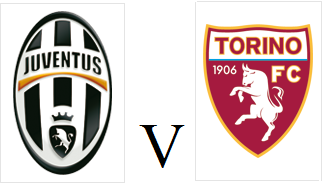 Torino will travel to the Juventus Stadium for the second time this season as they look to progress to the Coppa Italia semi finals. 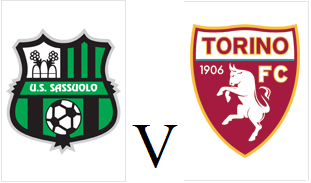 Toro, who last won the Coppa Italia twenty-five years ago will be looking to fare better than they did in the league fixture between the two sides in September, a 4-0 defeat for the Granata. In mitigation for that defeat, Toro had Daniele Baselli sent off in the first half, and the midfielder ironically returns from suspension for this game. However, the Granata will once again be without key attackers Adem Ljajic and Andrea Belotti. Rivals Juventus are looking for a fourth successive Coppa Italia triumph and are in good form, having not lost in the league since November, winning five of their last six matches. Torino ended 2017 on a disappointing note as they could only manage a 0-0 draw with Genoa on Saturday afternoon - their 10th stalemate of the season. Nicolas Burdisso and Joel Obi replaced Lyanco and Daniele Baselli as expected, whilst M'Baye Niang was deployed as a central striker in the absence of the injured Andrea Belotti. Toro made a bright start, and M'Baye Niang curled a left footed narrowly over the bar in the early stages. Nicolas Burdisso and Nicolas N'Koulou both came close to scoring from set pieces as the Granata were dominating the first half. However, at the other end, Goran Pandev fired a shot wide of Salvatore Sirigu's far post to show the visitors were still a threat. Alex Berenguer almost gave Torino the lead in sensational fashion, but the Spaniard's long range shot was tipped over the bar by Mattia Perin. In the second half, M'Baye Niang was continuing to be a threat against his former club, and almost scored with a clever lob before the ball was cleared off the line by Armando Izzo. Mattia Perin continued his heroics in the Genoa goal, as he made an excellent save to deny Niang's low drive. Once again Toro had to settle for a point, and Torino fans will be wondering what might have been this season if a few of those had been converted into victories.